This set of 5 Red Rolling Plastic Shopping Baskets makes a great addition to your shopping baskets. These Rolling Plastic Shopping Baskets have an expandable handle so there is no need to bend. 60 gallon capacity. 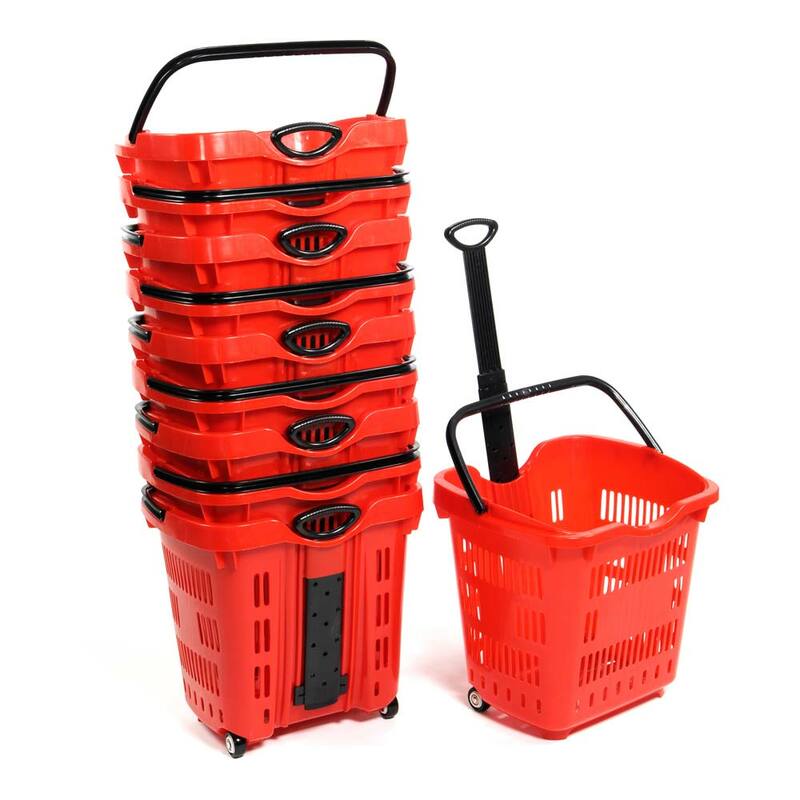 Heavy duty wheels on these plastic shopping baskets let your customers roll items with ease. Rolling Shopping Baskets stack when not in use for compact storage. For additional options, we invite you to take the occasion to view our thorough collection of shopping baskets at Specialty Store Services now.